A leading university recently placed an order for (13) Silverson Laboratory mixers for their new graphene center. The new facility will help accelerate graphene commercialization. Graphene is a two-dimensional material consisting of a single layer of carbon atoms arranged in a honeycomb structure one million times thinner than a sheet of paper. It is the strongest known material – 200 times stronger than steel, it is highly conductive of both heat and electricity, and yet lightweight and flexible, making it a desirable material for use in many industries including aerospace, engineering, digital electronics, bio-medicines, transport and energy. Graphene was first isolated from graphite in 2004 using a sticky tape method – removing flakes from a piece of graphite using a piece of sticky tape. By repeatedly separating the graphite fragments, flakes just one atom thick were created. Although this method is still used in laboratories it cannot be replicated on a larger scale, and research into ways of isolating graphene in sufficient amounts to be commercially viable has been ongoing for some years. A process called exfoliation, which is the high shear mixing of graphite in a suitable solvent, has been proven to isolate small but significant amounts of graphene. Silverson mixers have the high shear necessary to reduce the graphite down to usable defect-free graphene, and the equipment has been used by many of the leading researchers due to the ease of scale up from the laboratory mixers to larger production models. Subsequently Silverson have already sold mixers to research establishments all over the world for this application. The Model L5M-A Sealed Unit, L5M-A standard unit, and the Model AX5, each with a full range of work-heads, is useful equipment for this research work. Within 45 years, DMP Corporation has established itself as leader of designing and developing industrial wastewater treatment solutions for a wide variety of industries. DMP Corporation is able to adapt to evolving regulations and standards while providing a high quality service. 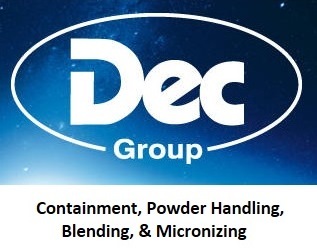 DEC Group was established in 1987 and became a leading global provider of powder handling systems to the pharmaceutical, chemical, food and cosmetic industries. DEC custom designs high quality modular solutions to seamlessly integrate into existing complex processes. The PTS Powder Transfer System is a contained transfer system with a wide range of applications in addition to reactor charging. With the use of vacuum and pressure, the PTS can effectively move powders as if they were liquid. This reliable transfer system is capable of dispensing both dry and wet powders and granules. 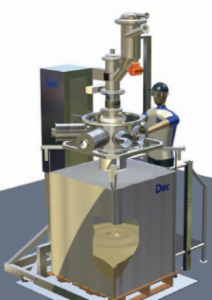 DEC Group’s PTS-Feeder offers a single step solution to emptying process equipment and filling bags, drums, and big bags with accuracy. The discharge of the Feeder is effected by vibration and accurate dosing is guaranteed by an adjustable piston valve at the outlet. This device discharges most equipment into a wide range of different types of packaging, proving particularly effective when space above or below the equipment is limited. The PTS-Feeder is highly flexible and mobile, which allows for simple integration into existing processes. With the use of the one step PTS-Feeder, there is not a need for conventional feed hoppers and intermediate silos. The Batchmixer provides ultimate speed and flexibility while reducing overall process times compared to traditional systems. Operators of the Batchmixer are able to mix powders with different characteristics in a contained environment. This system is beneficial for pharmaceutical applications where active substances must be handled without contamination or changes to physical properties. 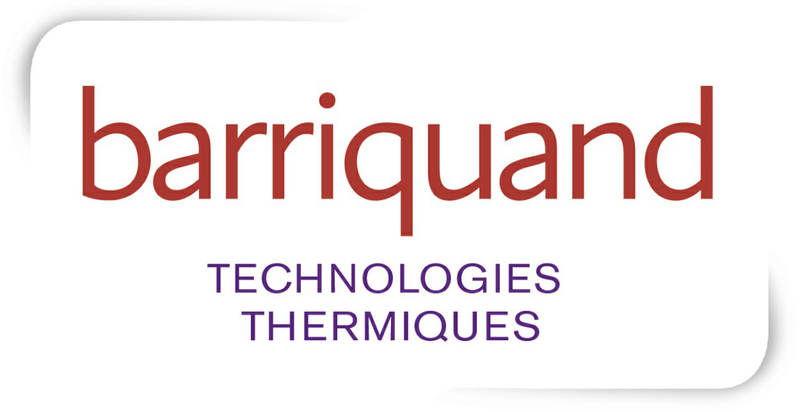 The Barriquand Platular® Plate Heat Exchangers’s thermal performance and minimal temperature approach is appropriate for exchanges on difficult, viscous fluids or fluids charged with suspended materials. This heat exchanger is also fitting for the condensation of vapor under vacuum as well as prolonged exchanges. Barriquand calls The Platular®, “The most flexible counter flow heat exchanger on the market” due to its compact size and various functions. For applications utilizing dirty fluids, the Type X provides savings on cleaning and maintenance needs. 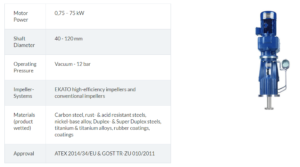 The first generation of Platular® heat exchangers, the Type IJS, was introduced in the sixties. 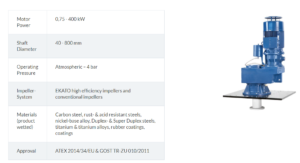 Type PCV is an extremely robust unit with high thermal performance. The Platular® heat exchanger was designed for easy maintenance and a reduction in maintenance costs. The corrugated plates in this model increases turbulence with local vibrations of the fluid’s speed. These plates permit chemically cleaning without having to open the unit. For simple maintenance, the Platular® was designed with a lack of of gaskets at the exchange surface level. The only gaskets are flat gaskets on the door and do not need to be changed at each opening. The units are equipped with hinged doors which allows for the Platular® to be opened rapidly in order to perform mechanical cleaning with high-pressure cleaners. This process is typically performed during plant shutdowns. 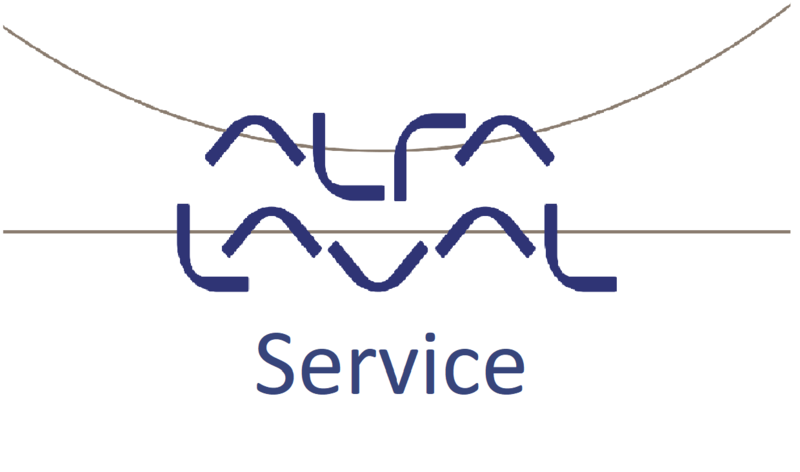 Alfa Laval’s service network is comprised of skilled and knowledgeable workers to assist in minimizing cost and maximizing return on your company’s equipment investment. With the use of Alfa Laval’s service network, companies are able to utilize their equipment for as long as they desire. The Alfa Laval Service Network prevents unplanned interruptions, promotes operation efficiency, and adapts to unique challenges. 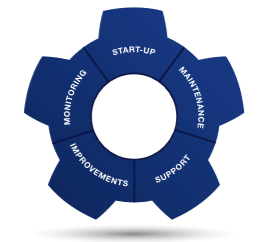 Alfa Laval’s 360° Service Portfolio offers support for all stages of the equipment’s lifecycle;– from planning, installation and commissioning to advice on the best replacement if the time comes. The company provides a variety of services that match your company’s needs. Alfa Laval’s global service network follows guidelines that ensure quality, safety and minimized environmental impact. Satisfy new environmental legislation by improving energy efficiency. By utilizing genuine Alfa Laval parts, you can maximize the uptime of your equipment. Alfa Laval spare parts are designed for durability, reliability, and productivity. 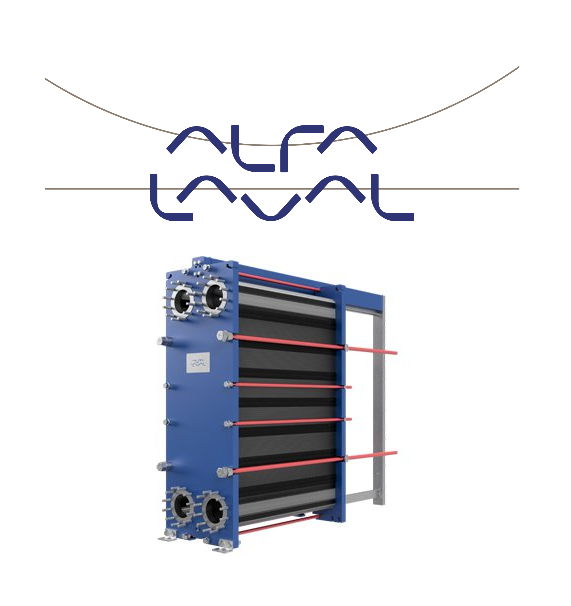 Using non-Alfa Laval parts could put your property, equipment, workers, and the environmental at risk. 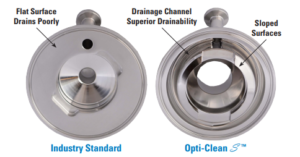 The Opti-Clean Single-Round Drainable Filter Housing from Allegheny Bradford is 97% more drain-able than the industry standard sanitary single-round filter housings. 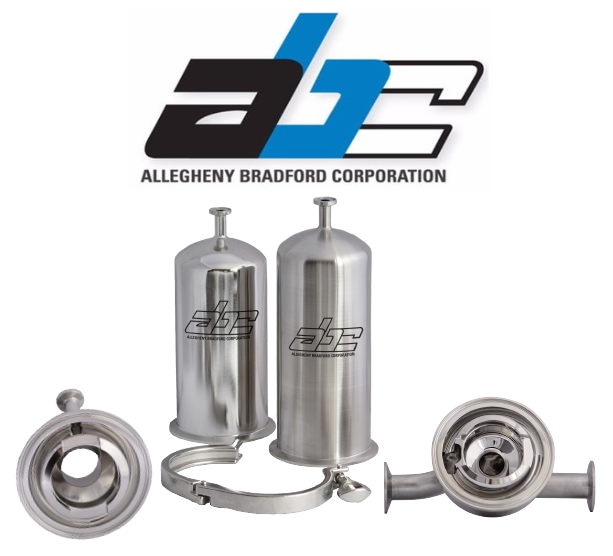 These 316L filter housings are ideal for a wide range of industries including pharmaceutical, food, dairy, beverage, and chemical. Silverson has specialized in the manufacturing of quality high shear mixers for processing and manufacturing industries world wide for more than 70 years. 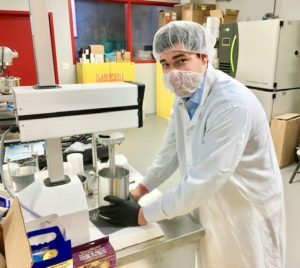 Silverson has become the leader in the field of high shear mixers while serving food, pharmaceuticals, cosmetics, luboils and petrochemical industries. The company supplies a wide range of standard mixers as well as custom designed equipment to meet an individual customer’s requirements. Developing and applying new high shear mixing techniques to meet these needs, Silverson has the experience, knowledge and commitment to both quality and service to solve today’s mixing needs and those of the future. Silverson’s batch mixers emulsifies, homogenizes, solubilizes, suspends, disperses and disintegrates solids in addition to mixing. Silverson mixers outperform conventional mixers due to their precision-engineered Silverson rotor/stator workhead. 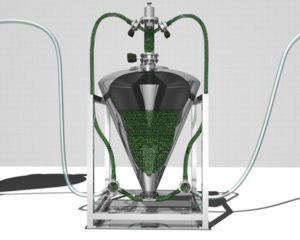 As a result, it is able to cut process times by up to 90%. 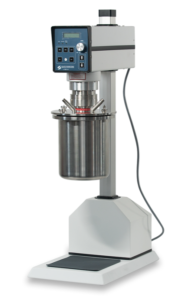 These mixers improve quality, product consistency and process efficiency. The action of any Silverson In-Line mixer can be modified with the use of rapidly interchangeable workheads. This enables any machine to mix, emulsify, homogenize, solubilize, suspend, disperse and disintegrate solids. 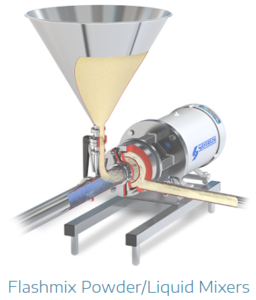 The Silverson Flashmix takes a revolutionary approach to powder/liquid mixing by using a vacuum to pull in powders and forces powder into the liquid stream. This allows liquid to disperse and hydrate large volumes of powders and can be used at higher temperatures and with higher viscosity mixes. The Flashmix offers the advantages of high shear mixing to a wide range of applications that were previously not possible. Above: Chris Logan of Cesco conducting a lab test on a client application.